Why try rekeying door lock on your own when Locksmith of Irving, Dallas County, Texas is here? That deadbolt might end up a little more difficult than previously estimated. It takes a lot of experience and training to know which method for realigning those little pins is best. Our highly trained technicians have all the skills required to rekey home effectively and without mistakes. Check out how impressive our work is for yourself and pick up the phone if you want to be impressed. It’s quite important to get rekeyable door locks instead of those that are set permanently in place. That way, it will be possible to set a new design and reorganize the parts. Without this convenient feature, you’ll be forced to purchase another set to rekey home. It’d be better to be able to simply adjust the current one. That’ll save a lot of money in the long run for sure. After a big move in to a new house, there is still a decent amount of work to do, generally. Start with the stuff that helps to secure the premises. 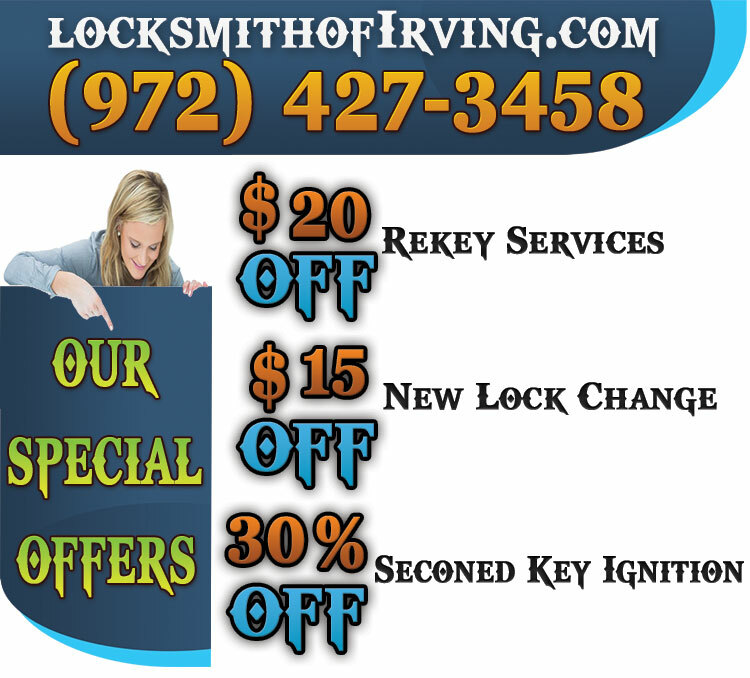 Let Locksmith of Irving, TX rekey home locks with a newer, more complicated fit. Who know what kinds of individuals might still have some sort of means to get inside. Don’t take risks when the safety of your possessions and family are at stake. Want a master lock key replacement? No problem at all. That’s a very frequent task done by our professionals. Cheap locksmiths that are also precise and skilled are tough to come by this day and age. Luckily, that is exactly what we are. Get those new keys replaced by the grade-A team Dallas County trusts. We’ll bring the cutting to you so the only thing you’ll be lifting is the phone to call.